As part of a deal sponsored by the United Nations, the evacuation of more than 2,000 Islamic State militants and other fighters from rebel-held areas of south Damascus has been delayed. 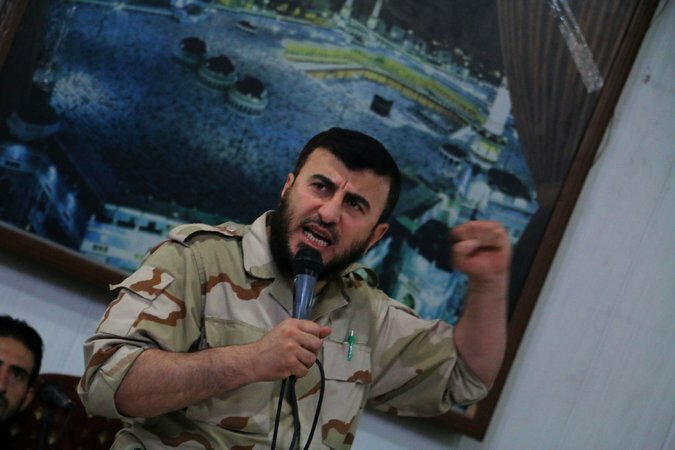 The deal fell a day after Zahran Alloush, the leader of the Jaysh al Islam rebel group, was killed in an air strike on Friday, as reported by the Lebanese Hezbollah’s Manar TV station. The top rebel Alloush, the head of the Army of Islam group, had granted safe passage for ISIS militants across his territory but instantly died in an airstrike during a meeting on Friday, which was targeted by ISIS commanders. Other leaders from the ultraconservative Ahrar al-Sham and the Faylaq al-Rahman groups were also killed. Buses were due to take the fighters from Damasco to Raqqa, the de facto capital of Islamic State in northern Syria. The evacuation was expected for early Saturday but was delayed because there was no secure land for the ISIS convoy to pass through, said the Syrian Observatory for Human Rights, an independent group that monitors the Syrian war. ManarTV made known that the buses arrived on Friday to pick up the fighters along with at least 1,500 family members. According to Reuters, the deal would have been the first between the Syrian authorities and Islamic State, which has been totally against arrangements with the government of President Bashar al-Assad, in contrast to other non-Jihadist rebels. The deal would have probably given Assad the chance of regaining control over a strategic area located 4km (2.5 miles) south of the capital’s center. The U.N. alongside foreign governments have joined forces to broker local ceasefires and safe-passage deals with the main goal of ending Syria’s civil war, during which more than 250,000 have been killed in nearly five years of conflict. On Dec. 18, the U. N. Security Council authorized a resolution endorsing an international road map for a peace process in the nation, marking a special agreement between major powers. Given the extensive presence of ISIS in south of Damascus, which includes the Palestinian refugee camp of Yarmouk, hostility among local people against the extremist group is increasing. “We have had enough with their presence and the fighting that goes and the siege that has caused a lot of hardship,” expressed Yousef, a resident of the nearby neighborhood of Hajar al Aswad, whose full name won’t be published due to security reasons.